This past week was my first week back to work after Rome. Still not a full one because I went a long weekend to Italy, but now no more interruptions for exams. Yay! This weekend I had a dream about getting the results. I had three great grades and failed one exam miserably. Well, let's hope the failing part is not the case and that the grades will be good! I had a fun first week back to work. On Tuesday I had to give a presentation which went quite well. I even got compliments!! I thought I would be sacred but when the moment came, I wasn't nervous at all. Wednesday I went out with colleagues to the Red Bull Culture Clash here in Rotterdam. There were four stages with four different types of music, battling against each other. The ones who got the most cheering, won. Of course my favorites won!! We even went backstage, which was really nice. It was my first time back stage! Just to imagine all the stars walking through those doors and halls. On Thursday we had a meeting overlooking a Erasmus bridge and a building (see first picture) which will become our new offices in matter of weeks, so excited! Saturday we went to have dinner in Breda, haven't been there in years. We had tapas which is great if you're like me, wanting to taste a bit of everything. Sunday I went to my mom and even saw my brother which is always nice. I live far away from them but it's great that we're close as a family! Plus, I bought a new camera!! 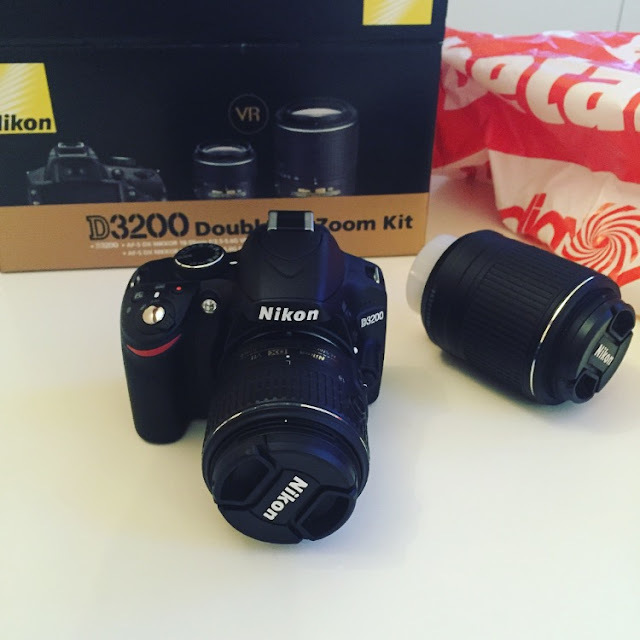 It's a Nikon D3200 with two lenses! I'm so happy! It's a super big purchase but with all my traveling coming up, it will be a must! Can't wait to try it out, maybe this coming Sunday I can take it outside.